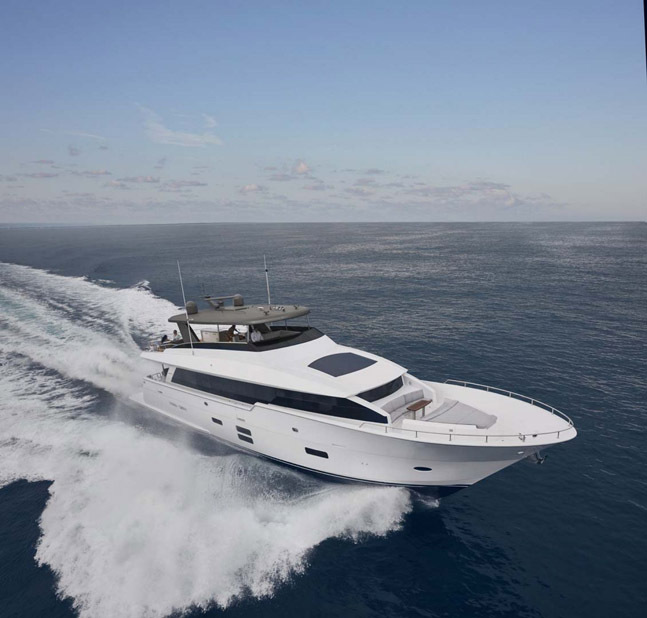 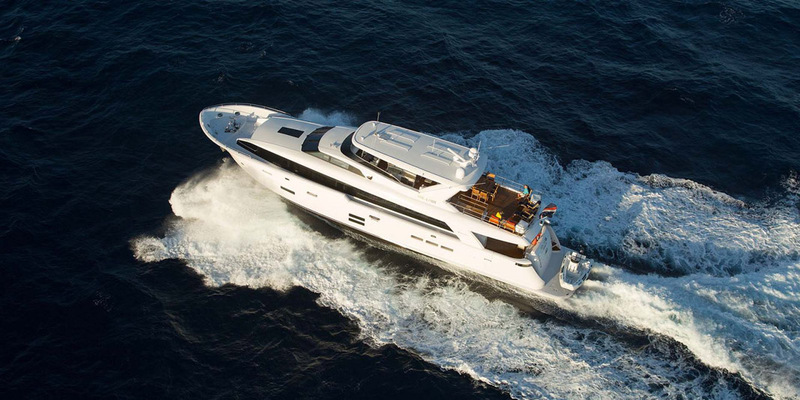 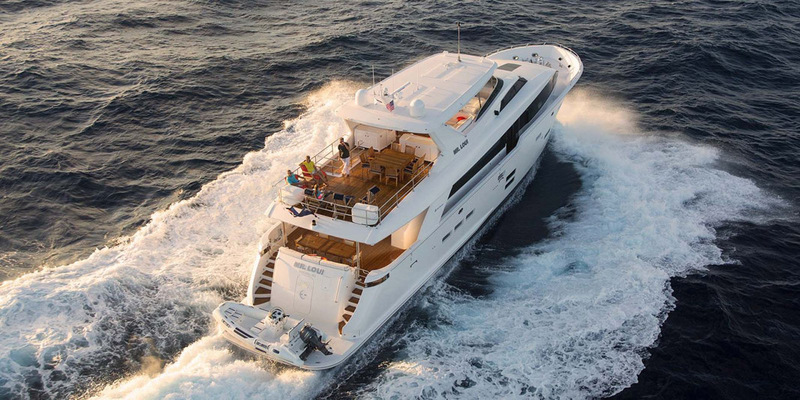 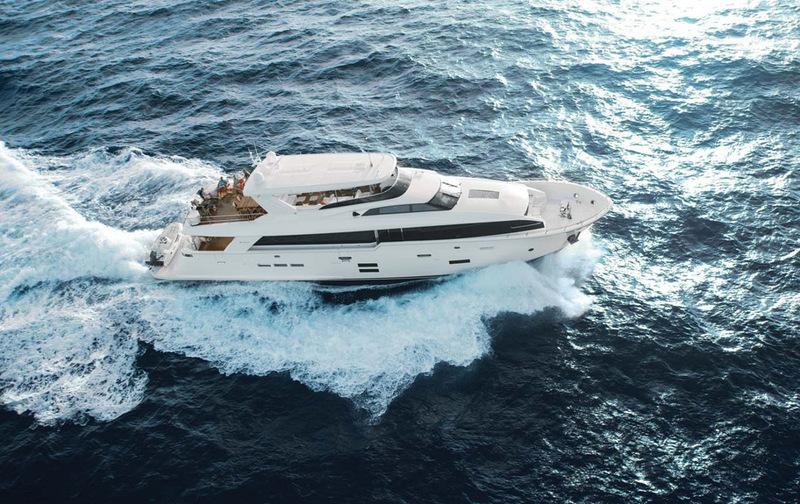 For the motor yacht enthusiast that wants to own a true motor yacht, the Hatteras Yachts 100 Raised Pilothouse is the ultimate statement of class and style. 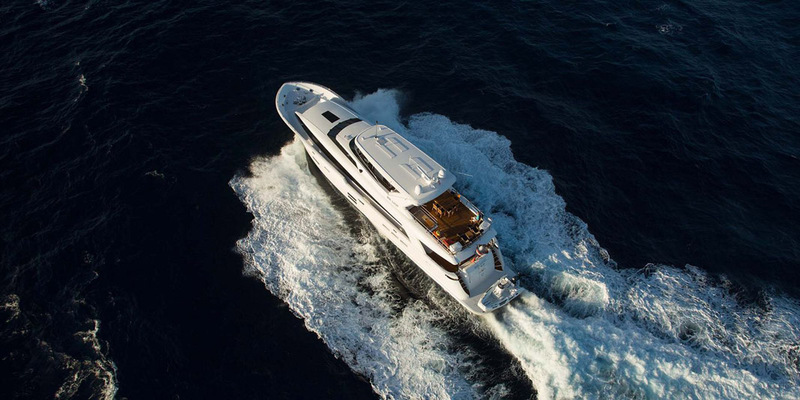 Created by the world renown designer Enrico Gobbi, this motor yacht is only 102-feet LOA, yet with its layout and open space it feels like a much larger yacht. 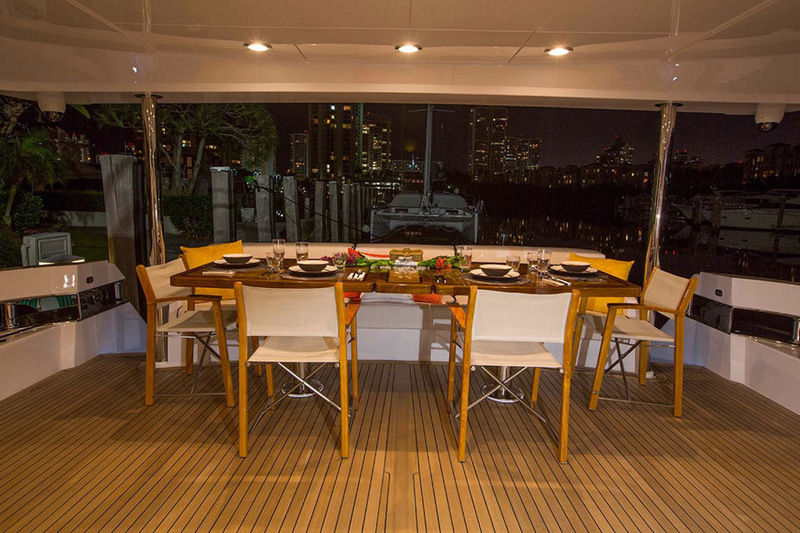 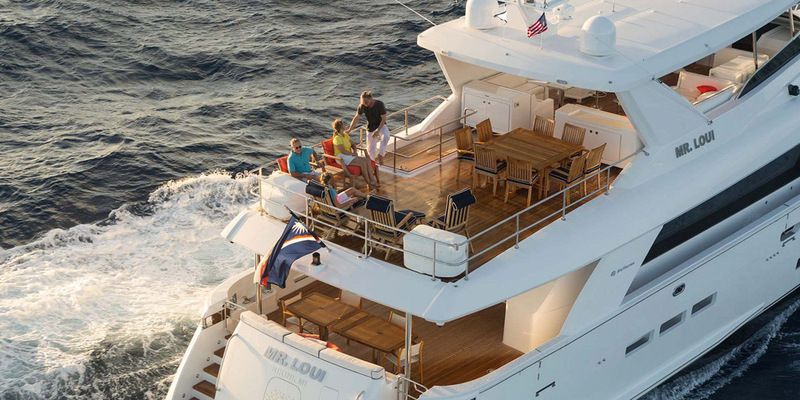 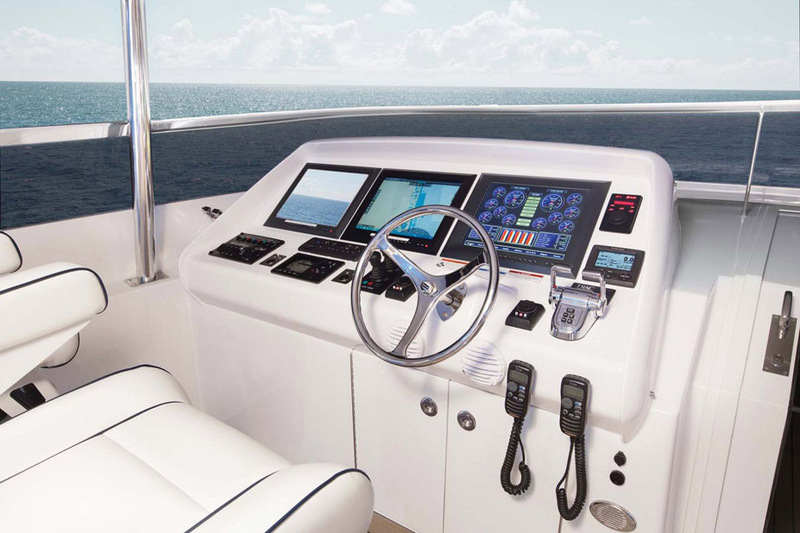 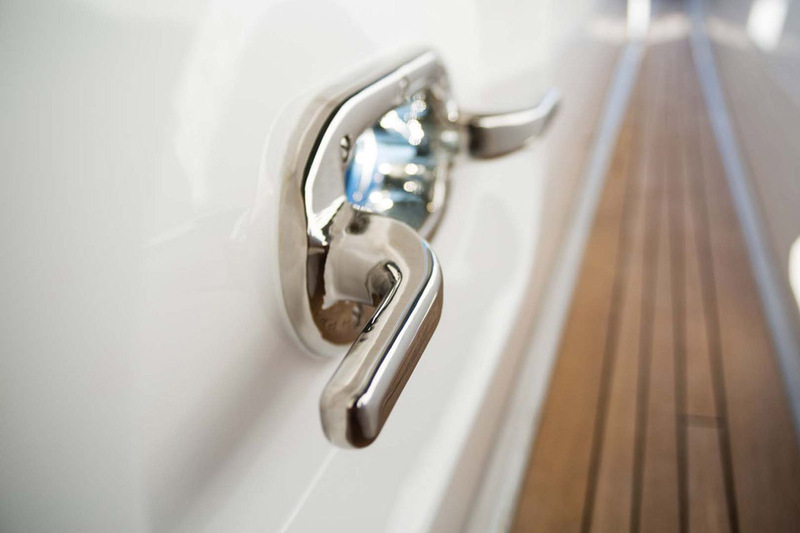 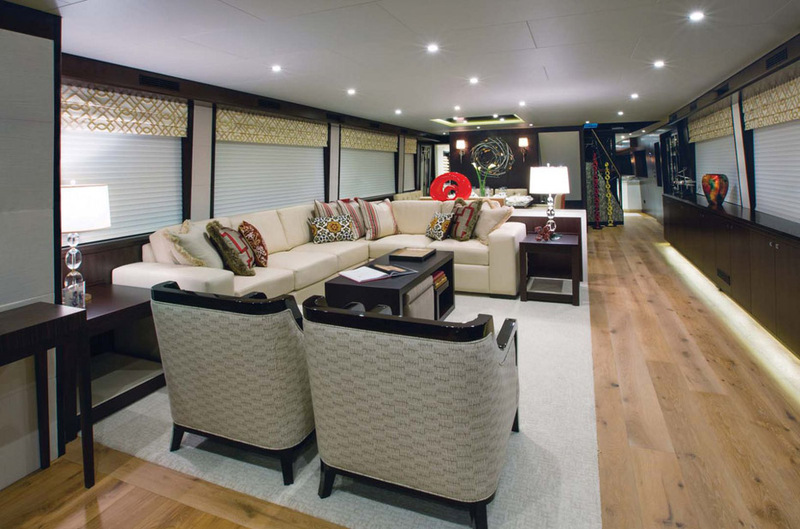 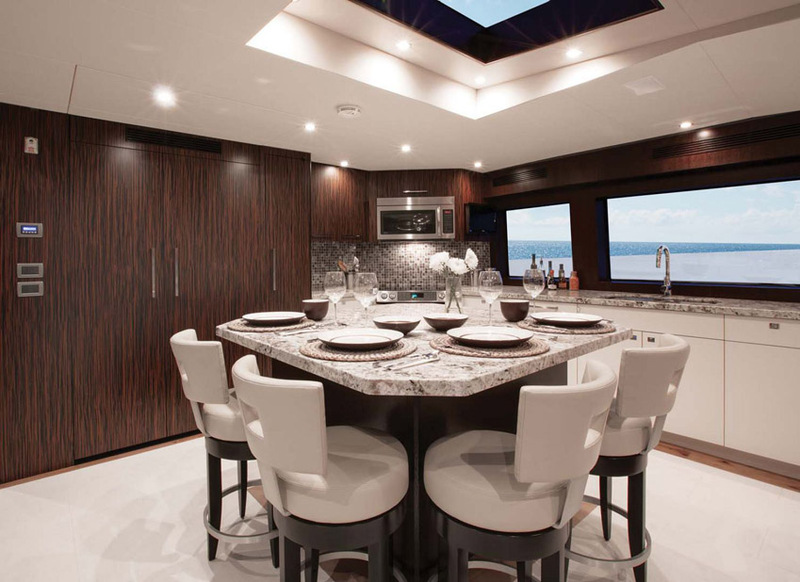 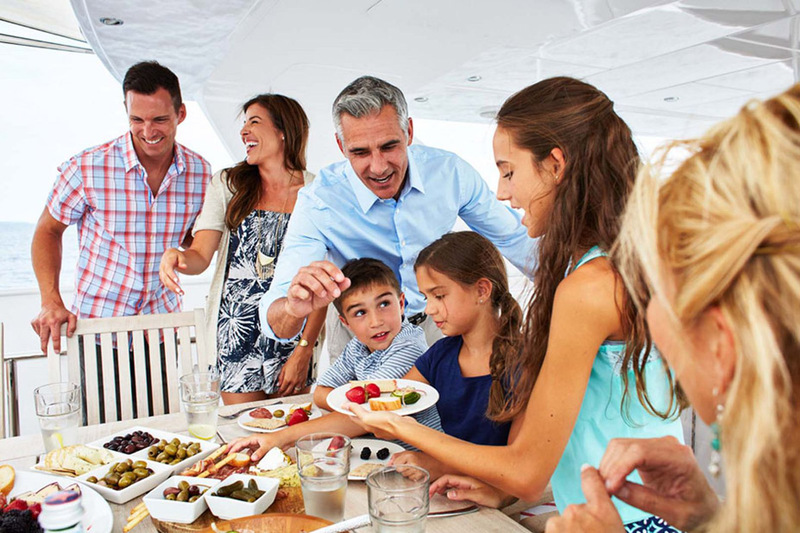 With European flair that rivals the sexiest yachts coming out of the Italian shipyards, many of the features are designed for the American consumer including the popular country-kitchen style galley that opens it up to the rest of the spaces on board, instead of hidden like many Euro-style layouts. 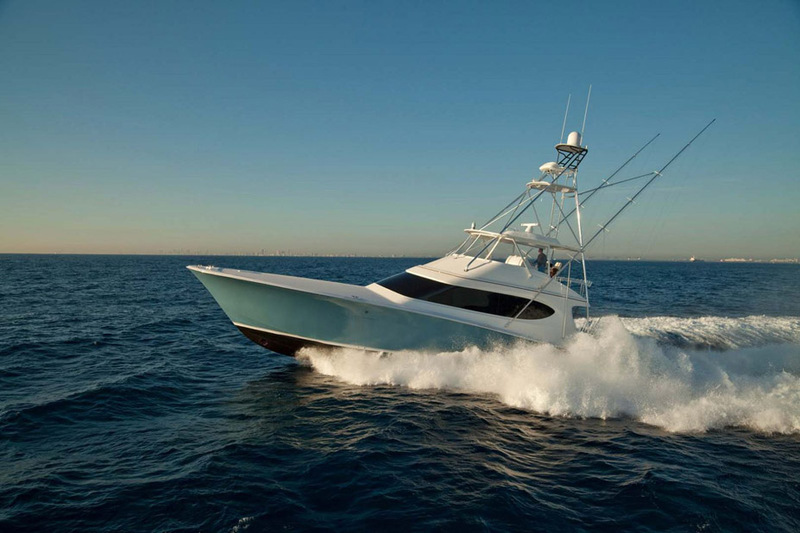 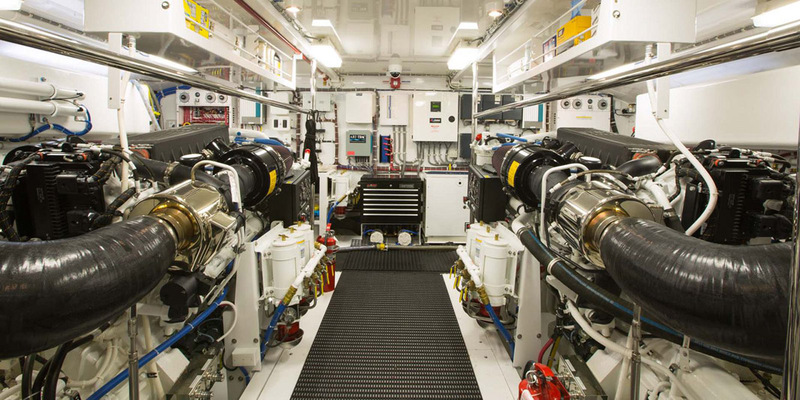 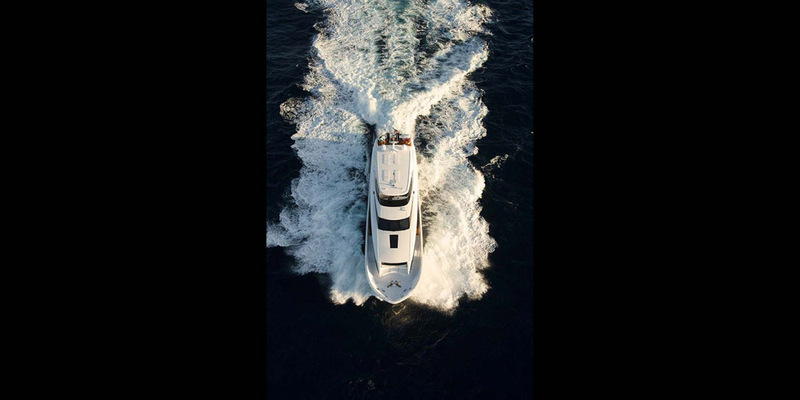 And with twin Cat C32A 1900-hp diesels and a fuel capacity of 4,660 gallons, the Hatteras 100MY can handle the journey of wherever life takes you on the sea. 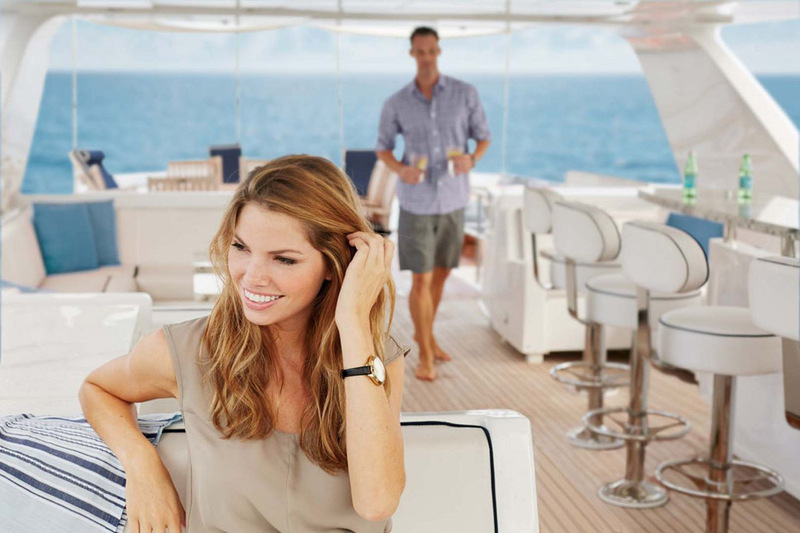 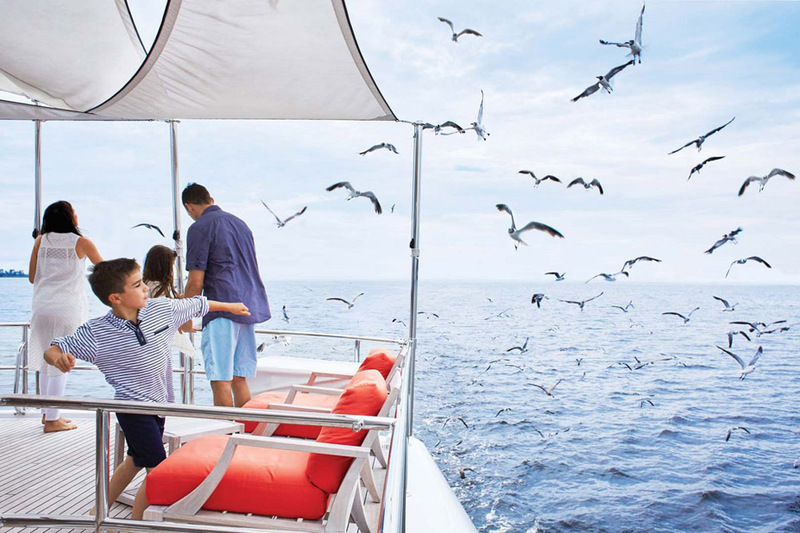 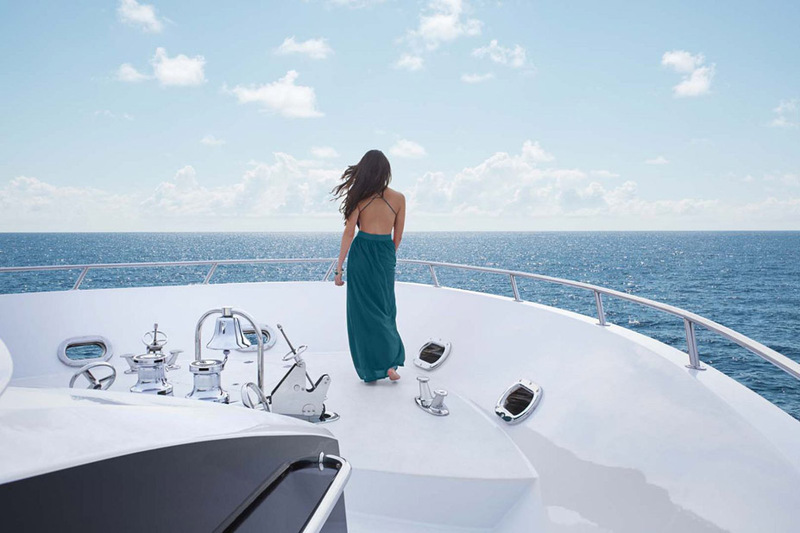 From the optional on-deck master stateroom to the large entertainment areas in the salon and aft deck, the Hatteras 100 Raised Pilothouse is truly a remarkable yacht within her class. 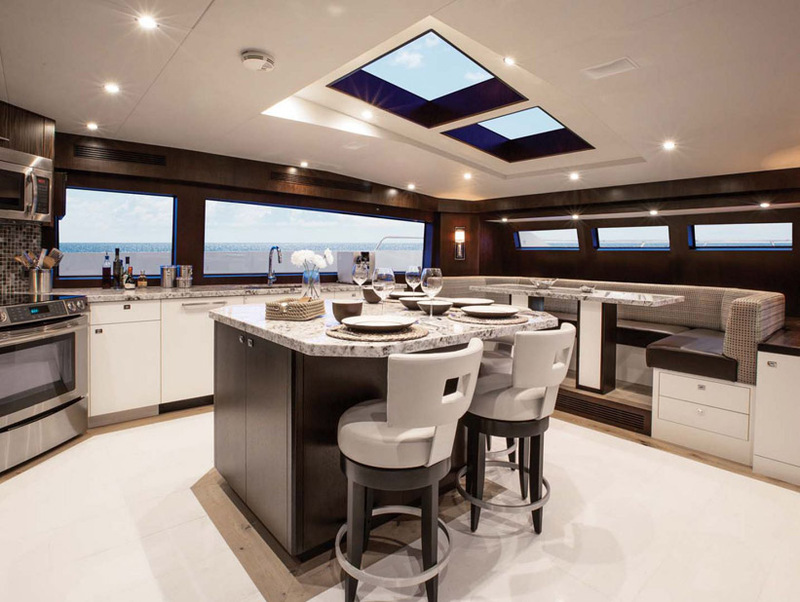 Look up inside the salon and you will see skylights that fill the room with natural light along with the oversized panoramic windows. 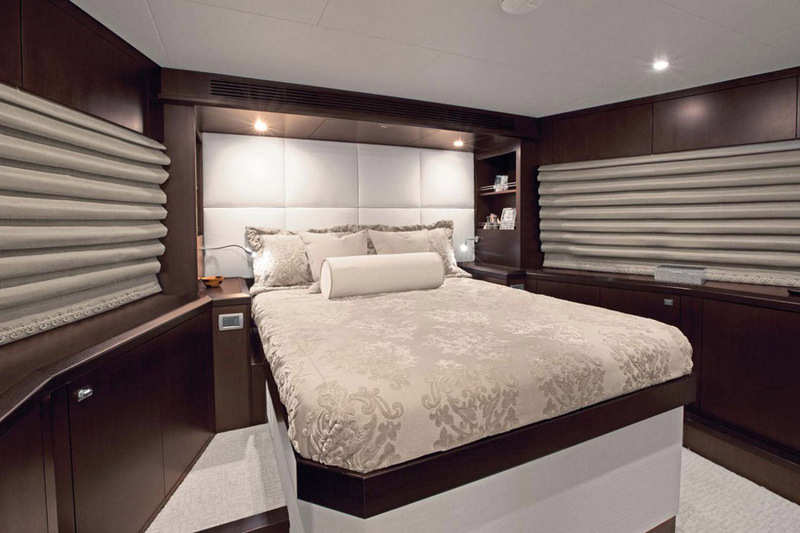 The full beam master suite is located in the center of the yacht which keeps it away from engine noise and vibration, making it a comfortable and quiet place to relax. 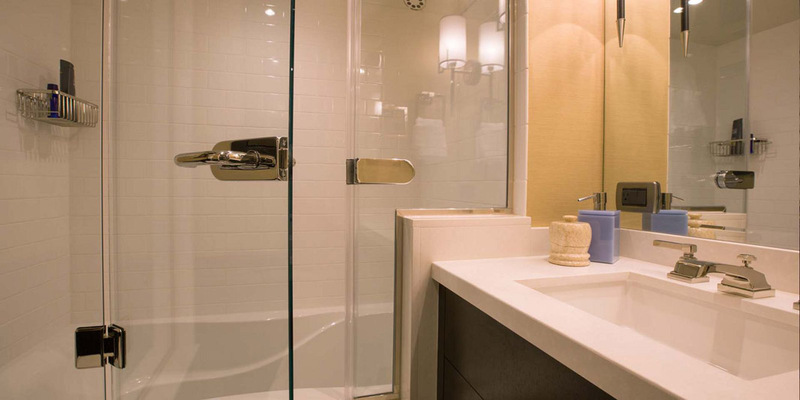 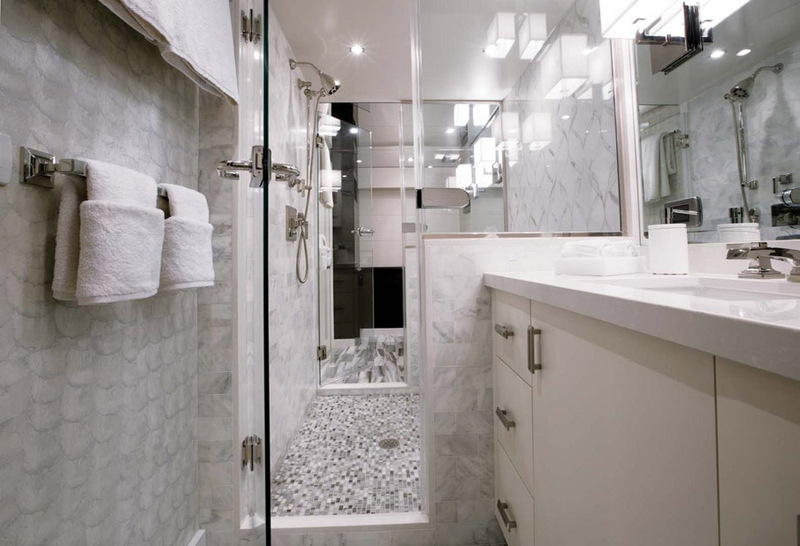 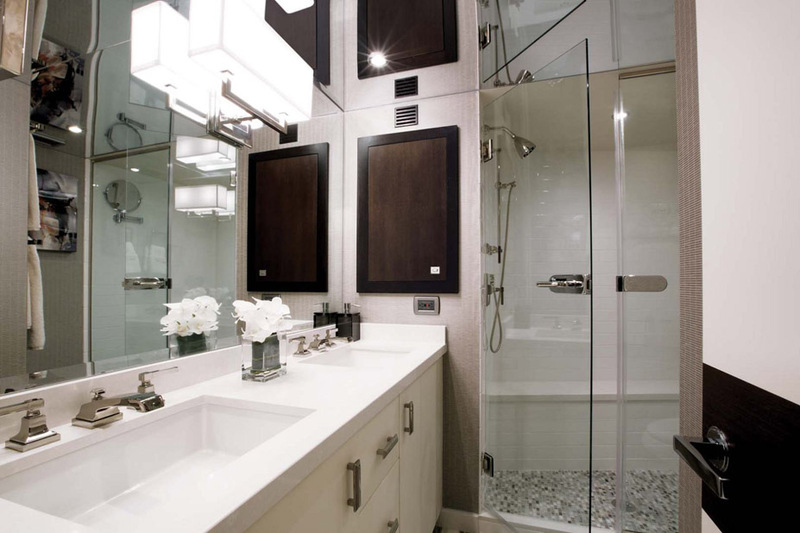 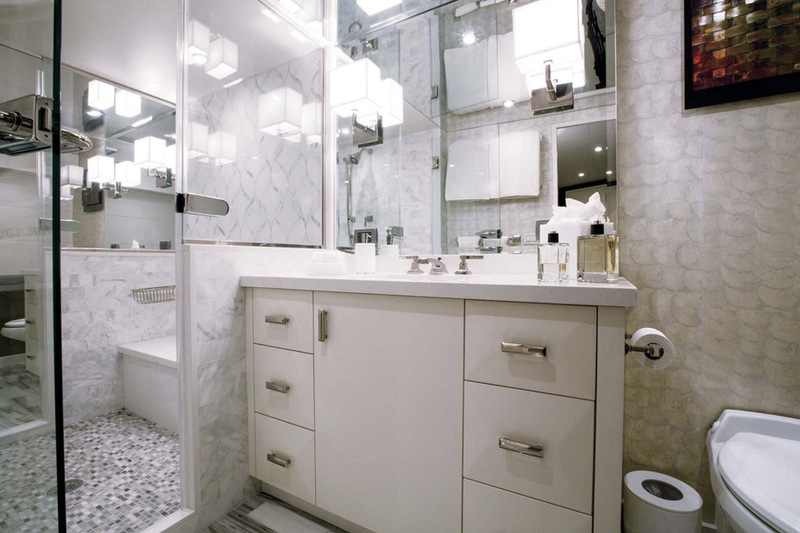 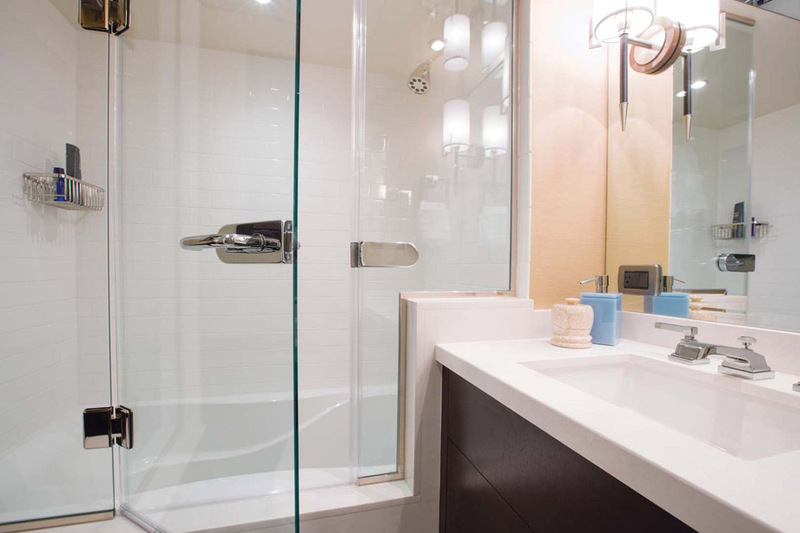 Enjoy his and hers bathrooms with a shower in the middle and plenty of closet and storage space for bringing what you need on extended trips. 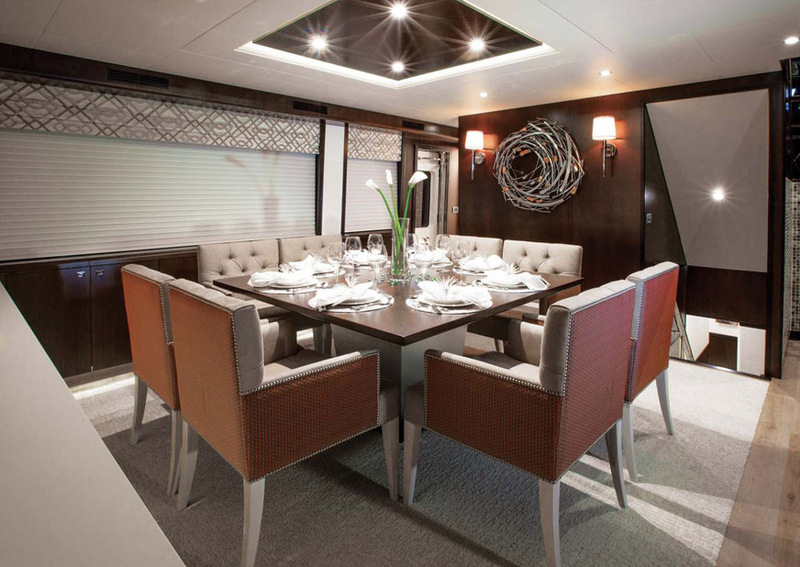 Even the VIP feels like a home away from home as its tucked into the bow and very private. 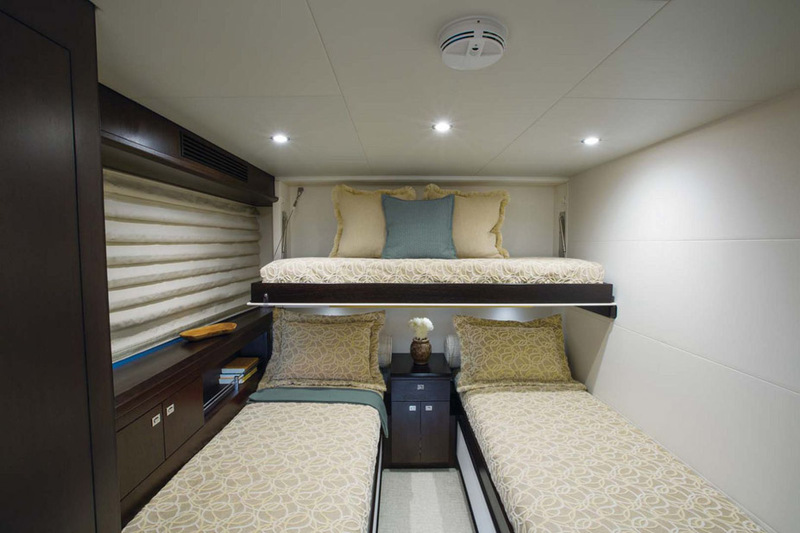 Since there are three bulkheads separating it from any other room, this stateroom offers a level of privacy your guests will enjoy. 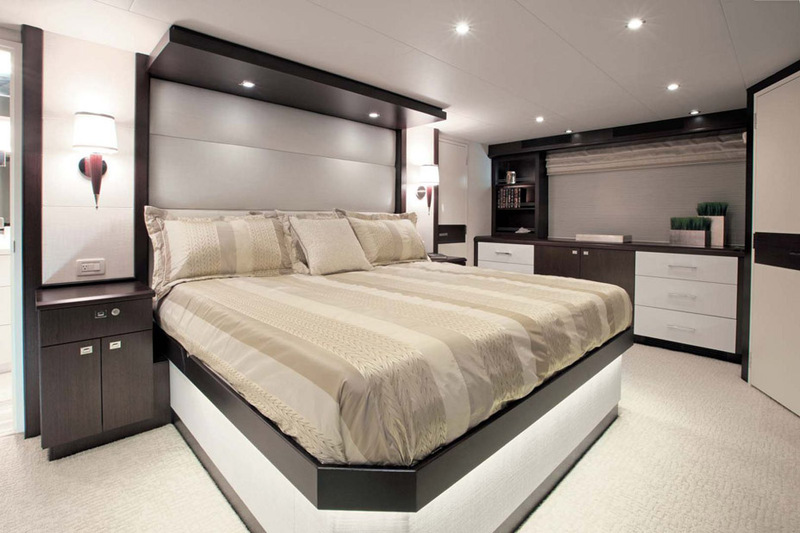 There is plenty of room on either side of the queen-sized bed and the head comes equipped with his and hers sinks. 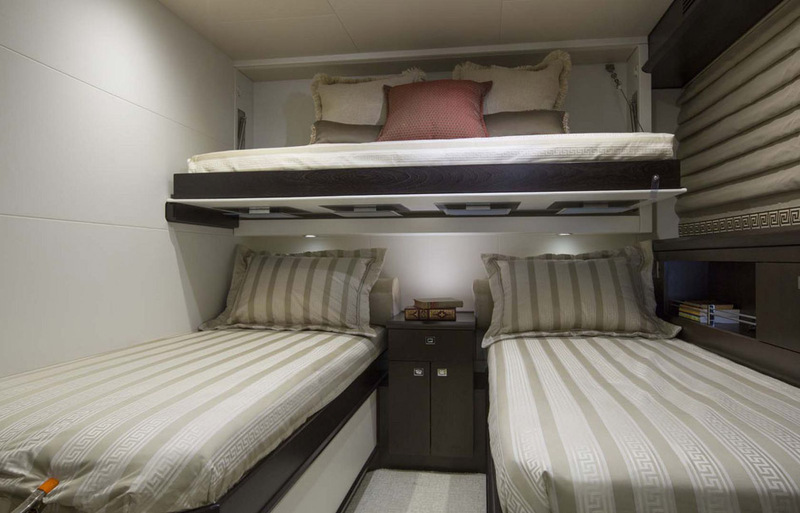 Even the crew will cruise in comfort with two separate en suite cabins designed to accommodate four people and even has an outdoor veranda for relaxing after working all day. 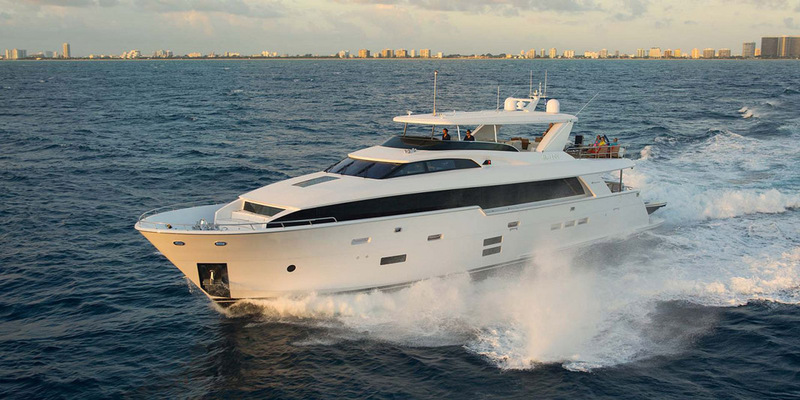 While the Hatteras 100 Raised Pilothouse Motor Yacht sounds luxurious, make no mistake that this boat is sturdy and strong.  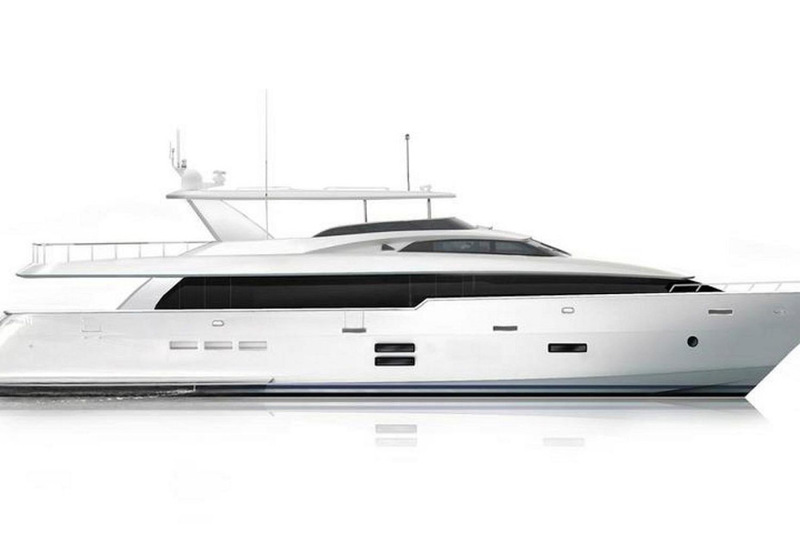 The resin-infused hull along with the 275,000lbs displacement makes this a very seaworthy, comfortable vessel. 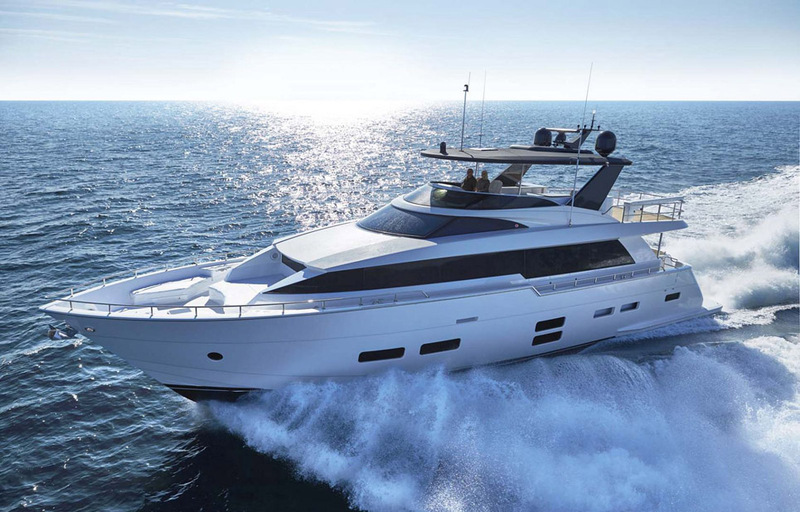 It’s rare you see an American manufacturer that is able to compete with its European counterparts on functionality and style in the motor yacht class, but the Hatteras 100 Raised Pilothouse’s sleek lines and amazing flying bridge will be turning Italian heads at all of the major boat shows. 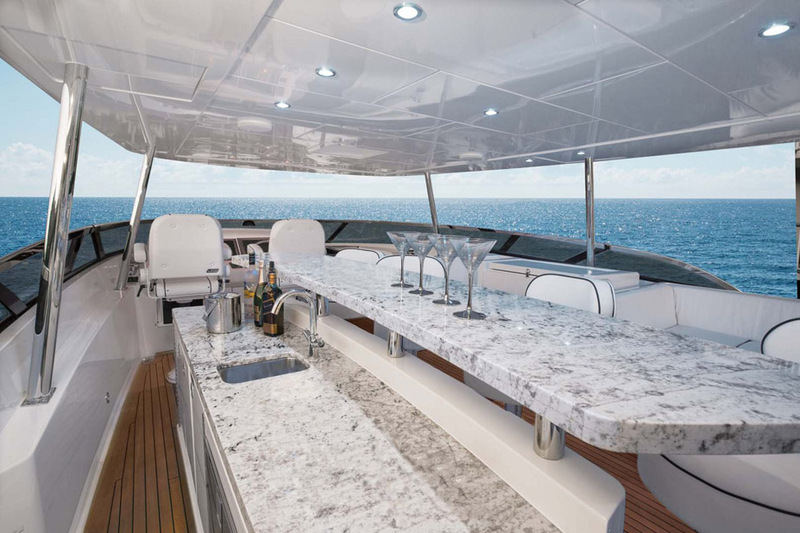 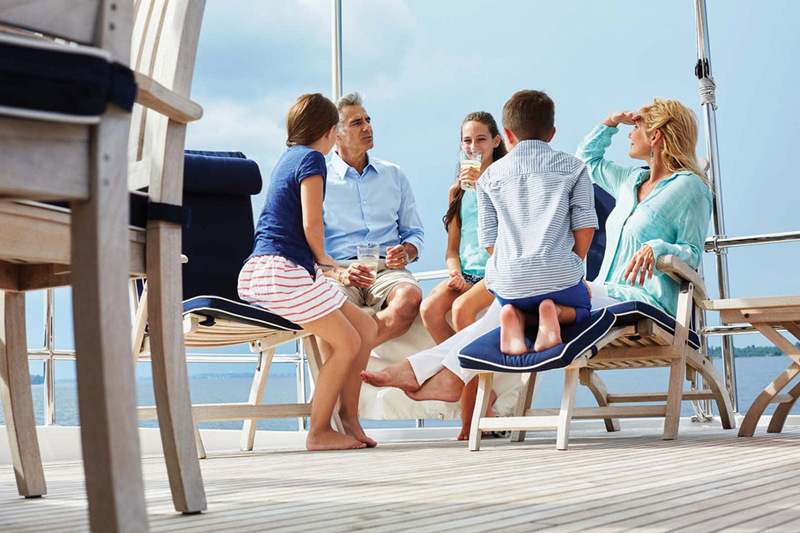 Contact your United Yacht Sales Professional today to begin the discussion of how you can customize your very own Hatteras Yachts 100 Raised Pilothouse today.